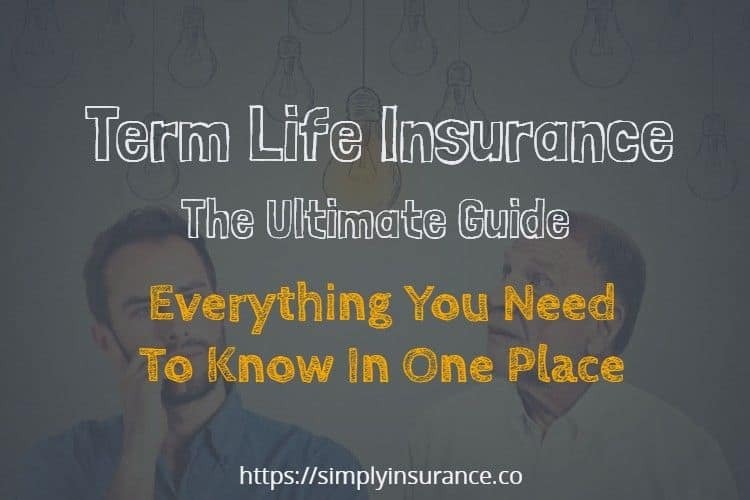 It turns out that term life insurance has a framework that doesn't change and once you learn it, you will be able to easily answer the question of how does term life insurance work, and in general, it will be easier to understand and buy. Life Insurance Glossary "In Plain English"
I think it’s essential to understand why something came into existence to understand its primary purpose. If you do some basic research, term life insurance is characterized by its low premiums and high coverage amounts, but where did term life come from? 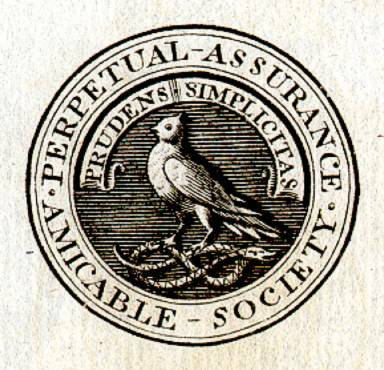 The first life insurance policy was taken out in 1706 by a company known as the Amicable Society for a Perpetual Assurance Office, also considered the first life insurance company in the world. I know the name is a bit long winded; however, I guess back then, long and complicated names were in vogue. This insurance carrier focused mainly on insuring only its members who were between the ages of 12 and 55 years old. At the end of the year, the insurance company would divide the share of the “Fees” to the wives and the children of the deceased men in proportion to a number of shares in the company they owned. This means no one really had to answer the question of how much does life insurance cost. Since this company wouldn’t insure people over the age of 55, another insurance company was formed in 1755. This company was formed by Edward Mores, with the name The Society for Equitable Assurances on Lives and Survivorships. Mores was the disciple of James Dodson, who passed away before “Equitable” could be fully established. 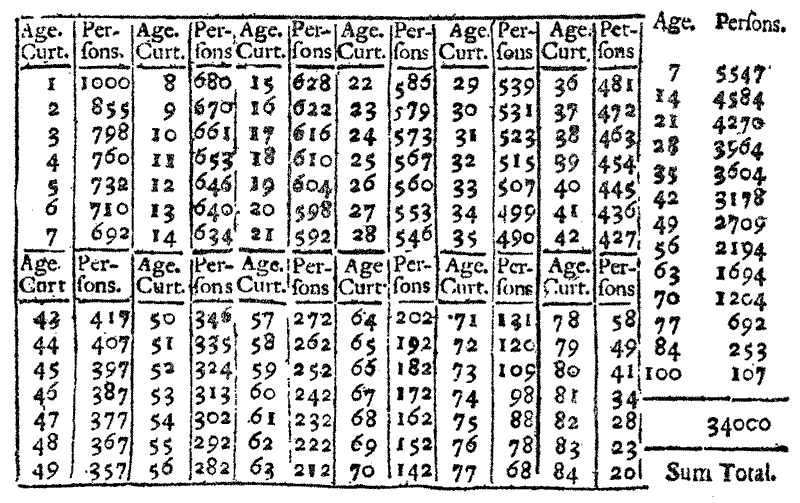 Even though Edmund Halley wrote the first mortality table or an actuarial table (as seen below) in 1693, you know, the guy, who computed the orbit of Halley’s Comet. ​Edmond Halley's Life Table of 1693. The math tools for such a formula weren’t available until the 1750s which allowed for the development of modern life insurance. In 1762 Equitable became the world's first mutual insurer and it pioneered age based premiums. These premiums were based on mortality rate which in-turn created the framework for the basis of modern life insurance upon which all life insurance systems are subsequently based. That's why you are able to get cheap life insurance when you are younger. Mores also introduced the position of an actuary— it was the earliest known reference to the term as a business concern. The first modern actuary was William Morgan, who was appointed in 1775 and served until 1830. Term life insurance sales in the USA didn’t start until around the late 1760s. The Presbyterian Synods in Philadelphia and New York founded the “Corporation for Relief of Poor and Distressed Widows and Children of Presbyterian Ministers” in 1759. As you can see, these companies were created to cover the women and children left behind by their husbands and fathers. Over the ages, these companies evolved into entities that can cover almost anyone and ​allows you to leave coverage to anyone that has an insurable interest. ​Products like Term Life Insurance and Universal Life Insurance were created based on needs and specific customer situations. Several other ​types of life insurance came out of these companies as ​well. Through several different acquisitions, these companies have come to be known as Aviva, AXA Equitable Life Insurance Company and Nationwide prospectively. You could say these companies are the oldest (Modern) life insurance companies around. Them being the oldest, however doesn't mean they are always the best fit for you. My friend Chris ​even created this cool resource that allows you to sort the best life insurance companies. Many people demonize term life insurance, and it's misunderstood by even more. However, it’s so simple that even if it's your first time buying you might end up laughing at yourself for thinking that there was anything to be afraid of. Wikipedia defines Term Life Insurance as - Life insurance that provides coverage at a fixed rate of payments for a limited period of time, the relevant term. ​The client must either forgo coverage or potentially obtain further coverage with different payments or conditions. ​This term length option will cover you on an annual basis and will renew at the end of each year, this also means that your rates to go up every year as well. This term length will cover you for ten years, and at the end of the term it will renew at a higher rate. This term length will cover you for fifteen years, and at the end of the term it will renew at a higher rate. This term length will cover you for twenty years and at the end of the term it will renew at a higher rate. This term length will cover you for thirty years and at the end of the term it will renew at a higher rate. Learn more about a 30 Year Term Policy here. Some carriers offer 5-year and 25-year terms; however, the majority of carriers don’t offer those two options as a choice. ​​This might seem like an odd question, however, I get asked this question often and think it's important to explain in more detail. You don't have to live for the full term length for the coverage to pay out, the term length basically shows how long will your coverage be in force before the rates have to renew or the policy ends. If you ​are approved for a 30 Year Term policy, your coverage starts from day one, if you pass away any time during that 30 year term, the policy will pay out. If you die after the 30 year term and did not renew the policy, then the policy has ended and nothing will pay out. Now that we know what term life insurance is, and also what term length options are available, we need to figure out how much term life insurance you need. You can qualify for term life insurance coverage normally up to 30 times your annual income. If you make $75,000 a year, you can get up to $2,250,000 in coverage, this doesn’t mean you need that much, that’s just how much you can qualify for based on your annual income. I have found that 20 Times your annual income is a great place to start when it comes to purchasing life insurance. According to the US Census, the median household income is $56,516, and according to Value Penguine the average household expenses for a family in the US are $63,784, and you can see a breakdown of the expenses here. Looking at the above numbers, this means that the average family is going into debt in the amount of $7,268 per year. It’s amazing that families are living and surviving like this, but the numbers don’t lie. ​​Found Yourself In The Same Situation? : Check out this awesome list of ​Personal Finance Blogs put together buy the guys at Rockstar Finance. If you look at this scenario, the loss of any part of that income would mean complete ruin for a family. ​When you purchase 20 Times the income shown above, it will give your family $1,130,320.00 worth of coverage. This money would be enough to pay off your home, clear up any credit card debt, car notes and coverage final expenses and as well allow your family the ability to grieve. It would give them the option to decide how to plan out the rest of their personal and financial future. If you can’t afford the term life rates for a policy that is 20 times your income, just get a plan that you can afford. I always tell my clients, anything is better than nothing, you can check out some extra resources by clicking here and here. We also go into more detail with answering the question of how much life insurance do I need. Now that we have the basics down on, what term life insurance is, the different term length options and how much coverage we can get. Let's talk about the various types of term life insurance policies and how they all work. Immediate or Instant Decision Term is one of the newest types of life insurance, brought on by the fintech and insurtech boom. Immediate decision life insurance in principle, is a kind of process that allows the insurance carrier to use available data from different databases about your health and risk behaviors to make an immediate decision on your coverage. Guaranteed Level Term Life Insurance is a type of term life insurance that will ensure your term rates will not increase for the life of the policy. If you have a 15 Year term for $30.75/month, that rate will stay the same for the full 15 years. Having your rate locked in is an important factor when looking into life insurance. No matter the type, typically you want something that won’t increase your rates every few years. There are products like New York Life through AARP life insurance that seem to have lower rates. However, when you read the fine print you notice your rates will increase every five years, that doesn’t help when you are trying to budget. I wrote a full post about level term life insurance and how it works here. A Decreasing Term Life Insurance Policy will decrease in value over the life of the policy. The point of a policy like this was that over time, your financial need for a larger policy would continue to decrease. These policies are quickly becoming obsolete because there is almost never a time when they are beneficial to a client. You typically will only ever see this as a type of mortgage protection insurance. Outside of mortgage protection insurance, you will almost never hear about this kind of policy, especially if you are buying from an agent or online. If you don’t have any life insurance this is the worst type of policy for you, so make sure you always ask if the coverage is level or if it decreases over time. Return of Premium Term Life insurance works just how it sounds; your premiums get returned at the end of the policy. These policies will always be more expensive on a month to month basis than any other type of term life insurance policy simply because your premiums get returned in the end. If you buy a 30 Year term policy for $75.00/month. At the end of the 30 years, if you don’t pass away, or let the policy lapse, you will receive a check for $27,000. It’s like having a savings account and a life insurance policy all in one. A return of premium policy is a great option; however, it’s normally out of the range someone can afford to spend for their life insurance. You can check out a post from Money Savvy Living that gives more details about this specific product, click here to read the post. No exam term life insurance also works how it sounds. You can be approved for a life insurance policy without the need of a medical exam. You will find that the rates for these policies will be slightly higher than a policy that will require an exam. This happens because the carrier is insuring you without anyone seeing you and only based on simple database checks. An Accidental Death Insurance policy is a life insurance policy that will only pay out if your death was the result of an accident. If you pass away from any other cause of death, this policy will not pay out. Accidental Death policies should not be the only type of life insurance you have and sometimes come as riders. ​There is a new company by the name of Fabric that is making waves ​by focusing specifically on selling these types of policies. This policy is usually good if you have a health issue preventing you from getting traditional insurance. This type of policy generally is guaranteed issue and requires no exam or health questions. If you think this type of coverage is right for you, click here for some quick rates. A mortgage life insurance policy (often referred to as mortgage protection insurance) is traditionally a type of decreasing term life policy. Over time, the death benefit amount of the policy decreases. This policy will also pay off your mortgage, directly to the mortgage company in a lump sum payment usually. You can probably find it much easier to qualify for these types of policies if you have any pre-existing conditions. ​However, I think this policy is worth having along side a separate individual life insurance policy to cover any additional final expenses. A Key Person Insurance policy is a type of life insurance policy that is used to cover a key person of a business. A key person is usually anyone who is vital to the survival of the business. Key Person Insurance is an important form of insurance to have specifically for small business owners. ​Whenever you purchase life insurance, there are additional options known as Riders that you can add to the policy to make it even more beneficial to you or your family. The All Cause Death Benefit is one of the most significant benefits you can have as part of your policy. Adding this rider means that your policy will cover you for any and all causes of death. In general, if you die from an accident, terminal illness or natural causes this policy will pay out. If your policy doesn’t cover All Causes, you probably have an accidental death policy which should not be your only type of life insurance policy. The Accelerated Death Benefit is also sometimes referred to as a “living benefit” this is because you can have a percentage of the policy pay out while you are still alive. The way this rider works is that if you get diagnosed with any terminal illness with expectations of living for less than 24 months. Or if you have a condition that makes you unable to do the simple daily functions of living, the policy will accelerate the death benefit. Each carrier is different; my policy will Accelerate 75% of my policy if I go blind or have a heart attack or stroke or if I get a terminal illness. Reading the fine print is very important when adding this rider to your policy. As a Rider, the accidental death benefit will payout in addition to your life insurance policy if you were to pass away from an accident. You have a $250,000 Life insurance Policy with a $250,000 Accidental Death Benefit Rider. If you were to pass away from a Heart Attack, that would not be considered an accident so the policy would only pay out the $250,000 in coverage. However, if you were to pass away from a car crash or if an airplane engine fell out of the sky and landed on you, that would be considered an accident. The policy would then pay out the $250,000 insurance policy and also the $250,000 for accidental death for a total of $500,000 in coverage. The Waiver of Premium rider exists to make sure that if you are ever in a position of temporary or permanent disability that after a certain waiting period, you will no longer have to make premium payments on your policy. Some policies come with this rider attached for free, and some have an additional cost so be sure to ask if there are extra costs associated with it. The Children’s Term Rider allows you to add your children who are 18 years or younger (Age Range Depends on Carrier) to your policy. Adding this rider saves you the hassle of paperwork, having to find a different carrier and it also gives you premium savings. In my experience, most of these policies have one set price for any number of kids. If you have two kids or more, this benefit should be considered even more so. These riders take your term life insurance policy up a notch and give you additional benefits on top of your life insurance. You really should consider which options, if any, you would like to have as part of your policy before you start searching so that you are better prepared. When it comes to this ​matchup, until recently, there have always been drastically different opinions on which option is best for you to choose. Are term life insurance rates best or whole life insurance rates, and why you should choose which option. In order to best answer how does term life insurance work, you must first understand that there is whole life insurance as well. First things first, let's talk about why these two options exist and what they mean. This process (depending on the carrier) can take up to 3 months and requires you to have a medical exam. This medical exam generally will consist of a urine sample and checking your blood pressure, height and weight as well as the nurse drawing blood. Your blood work gets sent to the lab, and your results are sent directly to the insurance company for review. This process can sometimes take up to 75 days due mainly to the medical records request process; however, there are some alternatives. No Exam Life insurance also goes by the name of simplified issue life insurance. This product (as the name states) requires no exam. The Majority of the product will only cover you up to 250,000 in coverage; however, there are some that will cover you for more. These products will use three databases along with answers on your application to determine your insurability. They will check your MIB (Medical Information Bureau) Report, your Prescription Drugs (Intelliscript) and your MVR (Motor Vehicle Report). Once this information is gathered, the insurance carrier usually will make a decision. The reason these products offer no exam is that traditionally they will only give you a standard health rating or below. If you didn’t read about the health ratings above click here and it will all make sense. Due to more the standard or lower health ratings, these policies usually have, outside of immediate issue or instant issue products they are always more expensive. Are you unsure about your current medical situation? ​​​​​Will scheduling an exam affect your work or personal life? ​​​​​Are you afraid of needles? ​Do you want an answer and approval within a few days? Are you ok with not getting the lowest rate possible? Do you want the lowest rate possible? ​Do you know your current health situation? Are you ​fine with waiting a bit longer for an answer and approval? Do you need $500,000 or more in coverage? 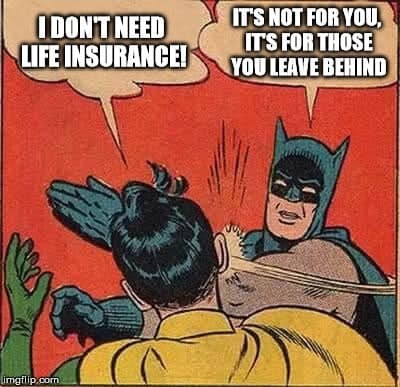 ​The worst part about purchasing life insurance is finding out you didn’t get approved for the coverage you applied for. When this happens, it is straightforward to feel like you have been bait and switched, however, in most cases it is just the underwriting process. I have taken Underwriting Guidelines from the top carriers to give you an idea of what they are looking for and why your rates may change. Underwriting is usually one of the most confusing areas for any new life insurance agent and especially customers. The best way to look at how an insurance carrier will underwrite your health is to view your health like a credit score. Mortgage lenders determine how much house you can borrow based on your credit score and insurance companies determine your insurability based on your current health. When it comes to life insurance, your health will be the largest factor of what your final rate ends up being. Check out the diagram and look at your health like a credit score to better understand how insurance carriers view your health. *Having Ultra Preferred health is the equivalent to an 850 credit score. The insurance carrier will see you as very low risk and you would get the best rates. For this health rating, you have to be in the best of shape. Most insurance carriers will you require you to be no older than 50 just to even qualify for this rating. If you qualify you will receive the best rating available, some insurance carriers don’t offer this option. Preferred Plus is going to be second best health rating you can receive, and is also going to usually be the best underwriting class offered for 90% of the insurance carriers. You will find that you must usually be younger than 65 to even qualify for this rate and depending on the carrier, have not smoked in at the least the last five years, have a perfect driving record, BMI, and no hazardous jobs. For a majority of the carriers, this will be the starting point for their health consideration, and both preferred plus and ultra preferred won’t be offered as an option. To qualify for this rating usually, you will need to be in substantial health and not have any solid medical history. You can obtain a Preferred rate as a tobacco user, however, expect to have a much higher rate than you would if you didn’t smoke. Standard plus allows you to be nicotine free for only 12 months and qualify for non-tobacco rates. The health requirements are less strict as far as things like blood pressure, cholesterol ratios, driving history and family health history. Standard Non-Tobacco is probably the rate class that the majority of people will fall under. It’s going to be the most lenient when it comes to current medical conditions, past medical problems, family health, weight, height, and the overall picture of your health. This rate class will have the same health guidelines as a standard rate but will have a higher monthly premium since you are a tobacco user. This rate class will be for people who have below standard health, but not too bad where no coverage is available. Sometimes this is due to height and weight or if you are an insulin dependent diabetic. Some carriers don’t offer this option and will go straight into a Table Rating. Table ratings are beneath Standard and Sub Standard and can go up to 14 tables and depending on the carrier are either numbers or letters. If you need life insurance after a heart stent operation, you are probably looking at a table rating. 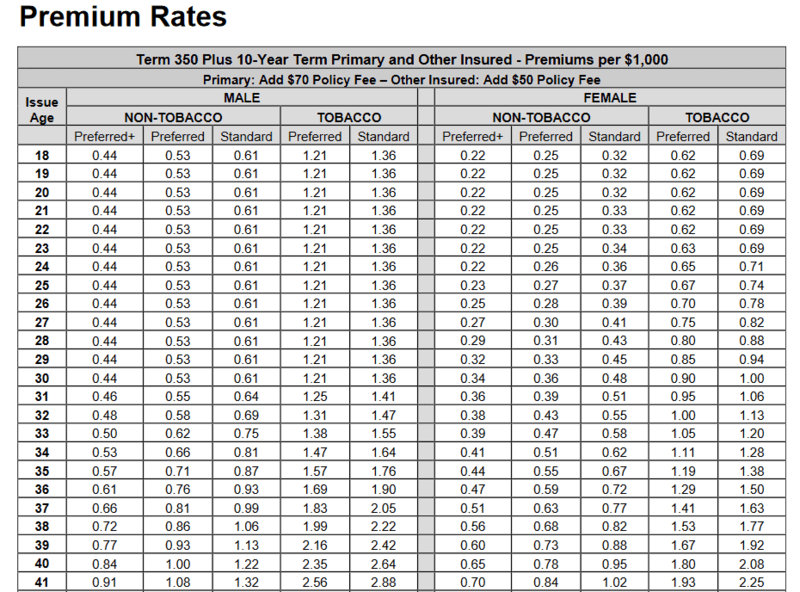 The higher the number or letter, the higher your health risk is and the higher the premiums will be. Sometimes carriers will rate you a Table 2 or a Table B; it’s all about what the carrier uses. However, any Table rating means a higher rate and higher health risk to the insurance carrier. When it comes to term life insurance for children, your best option will be to add them to your policy as a rider. Most insurance companies only charge one flat rate for no matter how many kids you add to the rider, this is a major factor when it comes to saving money on your policy. There is a hoard of information online about why life insurance for a child is a good thing or a waste of money​. ​However, I try to look at this from a fact and statistic point of view. In 2014​​​​​, a total of 23,215​​​​​​​​​​ deaths occurred​ in children under age one year. In 2014, a total of 18,666 death​​​​s occurred in children between the ages of 1-17. The above data shows us a story of around 41,881 deaths in children before they turn 18. If we average this out, it would be about 753,858 children deaths over the next 18 years. I think this warrants us to protect ourselves in the event the worst thing we can imagine happens and we lose a child. ​To understand how life insurance rates get calculated, you must first understand where it all begins. Insurance companies hire people known as actuaries; it’s a cool name for individuals who crunch the numbers and data to determine how likely someone is to pass away. Before their policy ends, based on their age, gender, occupation and location, the more likely they are to pass away before the end of the plan, the higher the premiums will be. Once the actuaries have crunched the number for the insurance company, they come up with a “rate(s) per thousand” chart. The rates per thousand chart shows how much it will cost to buy $1,000 worth of insurance. The rates per thousand will change based on your gender, if you smoke, your age, your health and how much coverage you need. If you get a quote for $24.00/month for a $250,000 10 year term policy, that rate was given based on a rate per thousand cost of $.096, so ($.096 * 250 = $24.00). ​This calculation is in place to make sure that insurance companies charge a particular customer the correct price for their life insurance coverage. ​If you aren't sure exactly how much coverage you need or want to compare what you think you need to what you actually may need. Check out a few of the best term life rate calculators. Just recently a few insurance carriers have decided to start covering customers with HIV. As long as their numbers are right and they get consistent checkups, their policy stays active. It’s very new; however, it’s definitely something that was missing from the market. More and more companies are rolling out products that require no exam. Some companies are even offering the same rates with an exam or without an exam up to a certain amount of coverage. As technology grows and information becomes more accessible the need for an exam is probably going to go away for the average insurance policy. Haven Life, Ladder Life, Fabric Life​, Bestow and a few others are focusing on consumer facing applications and sign ups. You will no longer need to work with an agent to do your research and sign up for coverage, Its really been a long time coming, but I think the life insurance industry is finally catching up. The current advancements in technology and information will eventually create an environment where needing a life insurance agent to complete the sale of life insurance will no longer be needed. My statement doesn’t mean that advisers won’t exist for more complicated products. I just see them become more specialized and offering life insurance in addition to their other services. Life insurance companies are looking to give you a discount if you use wearables and allow them to get better data on your health. I am not sure where they are going with this process, but only time will tell if it’s a viable process for life insurance. Not doing research ahead of time is the worst thing you can do when you start searching for a term life insurance plan. Even though the framework of life insurance is straightforward, don't go into it unprepared. ​It can easily put you in a position of possibly purchasing the wrong product or a product that isn’t the best fit for you and your family. If you don’t know the basics of life insurance, you really shouldn’t be looking into purchasing it. If you can't pass ​this quiz below, you really need to take a bit more time and read through our post for a better understanding of term life insurance and life insurance in general. I have seen this happen time and time again. The first agent you speak to sounds like they know their stuff and that they have the best rates. You sign up and give all of your information, but you still haven’t gotten an answer on your approval. After a full week and you haven’t heard anything, you start looking for coverage elsewhere. Then you find an agent that quotes you an even better rate and they get you approved in a few days. Two weeks later you get approved for that original policy you purchased and the premiums draft; now you are upset. It’s best not to submit payment information when applying for life insurance until you have an approval and policy number. Why pay for something you essentially don’t have yet. You get a free look period with every life insurance policy you purchase. This time period gives you the ability to return the policy for your premium payment if you decide you no longer want it. Most of them are 30 days; sometimes they can be shorter. Almost like a 30-day money back guarantee. Use this if you need to, you don’t have to purchase the policy just because you were approved. The worst thing to do is to go to several sites and request life insurance quotes. You first need to make sure the sites require no personal information otherwise you will get the “100 phone calls of doom” in a week. A little while back I wrote a post about how to avoid these pesky calls. The worse situation you can put yourself in is getting so many calls and having information overload that you don’t make any decision. ​It’s important that you write down all the quotes or put them in a spreadsheet. The reason for this is so that you can compare apples to apples. Be sure to get the same quote from everyone, don’t go all over the place getting different quotes. ​It’s awesome to think that you can get a discount for bundling services. However, more substantial property and casualty insurance companies aren’t always the best answer. Usually, you can find much more affordable rates from carriers that focus specifically on the Life and Health side of the industry. Running a quick quote with Statefarm - $250,000 in coverage for 30 years is $28.50/month. ​However, with Haven Life, the same policy is $21.63/month or Standard Life the same policy is $21.82/month. The latter carriers focus specifically on life insurance, and their rates are much more affordable with a savings of over $81/year. If you had that policy for 30 years, you would spend around $2,400 more than if you would have gone with a company focused specifically on life and health insurance. As long as they are a company with solid financials and good claims paying history and ability, you should probably stick with carriers more focused on life insurance specifically. You can use AM Best​, Fitch Ratings​, Moodys or Standard and Poors to check for insurance carrier ratings. Term life insurance isn’t the answer for everyone. There are also products like single premium whole life policies that allow you to make one lump sum payment and your coverage is paid up, and no payments are ever needed again. It will come down to your particular situation and what your life insurance needs are at the time you need coverage. This is a smart question, sometimes the “Why” is very important when we get involved with anything. However, the truth is that you don’t need life insurance, it isn’t for you. Life insurance is for the loved ones that we leave behind. If we pass away, they could face unimaginable hardships along with the sadness of our passing. If the answer to that is a No, then that’s why you need life insurance. No, you don’t need more than one life insurance policy. You may ​own more than one, but you don’t need more than one, it may be easier to put the total coverage you need into one policy. ​Several different coverage options are available. Simply Insurance recommends obtaining at the least 20 times your annual income and go down from there based on what you can afford. Who should I buy term life insurance from? ​You can buy term life insurance online, from a local agent, or any agent that’s licensed to do business in your state. The prices are set by the state for each carrier, so we recommend going with who gives you the most information and makes you feel most comfortable. 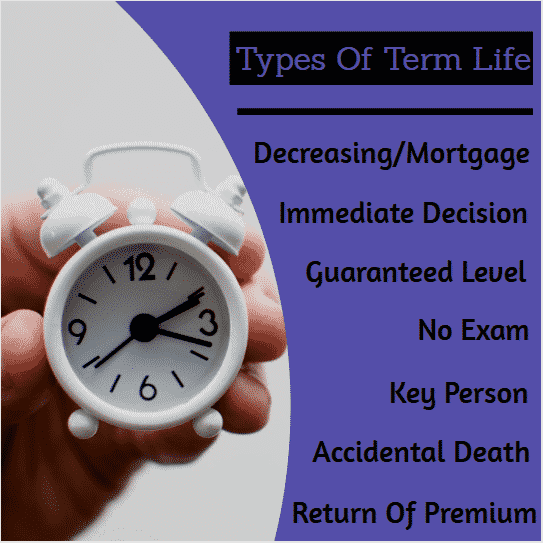 ​Term life insurance will pay out in a lump sum to the beneficiary once proof of death is provided to the insurance company in the form of a certificate of death and usually a copy of the policy. What happens to term insurance when it expires? When term life insurance expires, depending on the policy, that is the end of the policy. If you have what’s known as a Return of Premium Term life insurance coverage, then all the premiums paid into the policy will payout when it ends. Yes, life insurance is needed for a single individual. Being single does not eliminate the debt that is created if you were to pass away, someone will be responsible for it. Your parents or friends. Does term life insurance cost more every year? There is only one type of term life policy where the rate will increase every year, and that is known as Annually Renewable Term. The policies will renew and have a price increase every year. However, you will find that unless you ask for this type of product, you can only choose five years or less when buying online or dealing with an agent. Can I trust my life insurance company to pay my beneficiaries? There are rating companies like Standard and Poor's and AM Best that you can use to help gauge the ability for the insurance company to pay out on a policy. Yes - Term insurance will end at the end of the term that you purchase, and you will have to either renew the policy or not renew it. Some carriers give you the ability to convert it into another type of product at specific stages of the policy. The advantages of term life insurance are the lower costs, living benefits and larger coverage amounts for that lower cost. Yes - You can afford term life insurance, it’s setup to fit any budget. The average annual income for the US is $44,000. That’s more than enough to fit $150 to $300 per year for life insurance into your budget. You should be looking for an A rated carrier, a plan with no-cost additional benefits like an Accelerated Death Benefit, the longest term length that you can comfortably afford and the most affordable premium. A convertible term life insurance policy just allows you to convert the policy into a whole life policy during a particular period. If you miss the window to convert your policy, you won’t be able to do it a later date. If you choose to convert your plan, you won’t have to go back through underwriting for proof of insurability again. You should look at several factors; however, we tell our customers to think about their Mortgage. How long they have left to pay on that, if they were to pass away as well as the age of their children. ​Will a ten-year term policy put your kids at an age where they no longer financially need you or will a 20 or 30-year term work best. You should review your life insurance needs whenever you have a life event such as a new job, a marriage, a new baby, a death or any lump sum payout. After that, I say review it at the least every two years. Term life policies are considered all cause death benefit policies, and they cover you for any deaths caused by accidents, natural causes, or critical illness. That is the most basic of what it covers; you can have additional riders that allow the policy to cover more things, be sure to review your online application or ask an agent about any additional riders. A beneficiary is a person or entity that you leave your life insurance money to in the event of your death. We haven’t seen an insurance carrier limit the number of beneficiaries. ​You can name anyone with “insurable interest” as your beneficiaries. Having insurable interest means that if you were to pass away, it would financially affect them. How are term life insurance quotes determined? Term life insurance quotes are determine by people called actuaries that work for the insurance companies and simply take data to figure out how to rate a specific group of people. ​Is life insurance taxable is a common, yet great question to ask. Normally there are no taxes on life insurance, however I would advise you to make sure to speak with an accountant or tax attorney about the specific tax laws in your state. The Policy Holder, also known as the Policy Owner is the person that actually controls the policy. They are the only people that can make changes to the policy such as beneficiaries and payment information and are the only ones that can cancel the policy. There are several reasons to not be the owner of a policy that you are the insured on. For instance, if you would prefer your spouse handles all of the administrative things that go along with having a life insurance policy. If you are living you need some sort of insurance on your life. The harsh truth is that we are all going to die eventually and when that happens it’s best that we leave whomever will be responsible for our final expenses in a better financial situation. Life insurance can cover anything once the funds are paid out to the beneficiary so be wise as to whom you leave the funds to. ​A death benefit, also known as the coverage amount, is how much will payout upon the death of the insured person. The beneficiary should have a copy of the insurance policy and contact the insurance company or agent directly along with a certificate of death. ​Underwriting is the process that life insurance carriers go through to determine if they can insure you. In most cases you can deduct life insurance premiums from your taxes if it’s through your business. You should reach out to a local tax attorney about your options in your state. The application process will work different for each insurance carrier. Some carriers have consumer facing sites where the customer can apply online. ​Other carriers require a paper application, or an electronic application with e-signature and some allow for telephone applications. When they are required, a paramedical exam is simply the exam you take to get approved for a life insurance policy. You have to remember that a Doctor telling you that you are healthy and an insurance company saying you are healthy aren’t based on the same factors. ​If the insurance company figures out you have misrepresented something on the application they can cancel your policy and refund you the premiums paid into the policy. In addition to this, if they don’t catch the misrepresentation at the time of your application, they can challenge your death if it happens with in 2 years of you passing away within the contestibility period. Every Insurance company has what’s known as the contestibility period. These periods normally last for 2 years. This is time given to insurance companies to determine if you have made a misrepresentation on your application. After this period is up, you are now in the incontestibility phase and companies can’t deny your claim based on a misrepresentation. ​​The best time to buy term life insurance is when you are young, in the best health, and not smoking. The younger you are when you buy it, the longer you will have it for, and the lower the premiums ​will be. ​Rates for tobacco users is substantially higher than any nonsmoker, so getting covered before you ever start ​smoking is a very good idea. How do I estimate how much term life insurance to buy? ​We usually recommend you purchase at the least twenty times (20X) your annual income. That is going to give your family the best chance at a stable financial future if you were to pass away. What are some common pitfalls when shopping for term life insurance? ​The most common pitfalls are buying the wrong type of policy and assuming that it’s term life insurance. Giving out payment information before you have even been approved for a policy and not asking as many questions or doing as much research as possible on the product and or carrier that you are looking at. Here at Simply Insurance we don’t recommend relying solely on your employer for your life insurance needs. Employers usually don’t go with you if you leave the company and often the coverage is only one times your annual salary which isn't much to cover your family in their time of need. 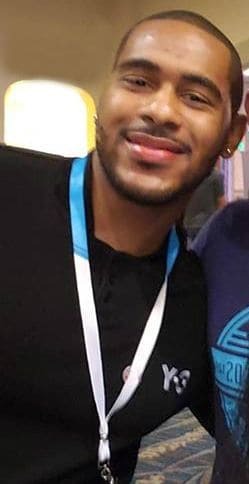 Just like any industry you want to do business with reputable companies. Be sure to look at places like the Department of Insurance or AM BEST, BBB and Standard and Poors to determine which company works best for you. ​All life insurance companies Are Not the same.They all have different financial situations, underwriting guidelines and reputations. What red flags I should watch for when shopping for life insurance? Making a decision to buy and still not understand what you are buying. An insurance company that doesn’t have a good rating from AM Best. An Insurance agent unwilling to give you their agent number. Making any payments out to an Insurance Agent or Agency. We are licensed agents that can help you with any questions you may have. ​An agent is a licensed individual that works sells insurance, a broker ​is an agent that represents multiple insurance carriers. ​Some life insurance agents are considered "Captive" and can only represent one company. A Broker will have multiple contracts with different carriers and can offer you more options for coverage. Is it cheaper to go direct than through an agent? The prices for insurance rates are normally set and the insurance company pays the agent if you take out a policy, so there will be no difference in price. ​Can I get Term Life Insurance For My Pet? But, believe it or not, there is a form of life insurance for your pets. However, they don't work like traditional life insurance policies and there are usually ​things they won't cover. Most pet life insurance policies cover only unexpected deaths like accidents or sudden illnesses. If your ​pet dies of old age, pre-existing conditions or even a hereditary disease, the policy ​probably won’t pay out. ​Simply Insurance does recommend insurance for your pet if you don't have it and we have a full review here for all the reasons why. ​Am I Locked Into a Contract with My Insurance Policy? ​You are ​NOT locked into any term life insurance policy. These policies are setup like any utility bill that you have, if you don't pay the bill in 30 days, you get disconnected. The same thing goes for life insurance, after the grace period, which is usually 30 days. If you don't make a payment your policy will lapse and you will no longer be covered. Some carriers allow you to pay premiums owed and start back your policy without going trough underwriting again as long as it is under 60 days. However, if you miss this deadline you will have to start the process over again to get covered. Where Can I Find Life Insurance Definitions? You're in luck, we actually have a complete list, check out our life insurance definitions. Below are some additional resources surrounding term life insurance and different areas of insurance that are really worth a read. 5 Reasons Your College Student Needs A Life Insurance Policy.